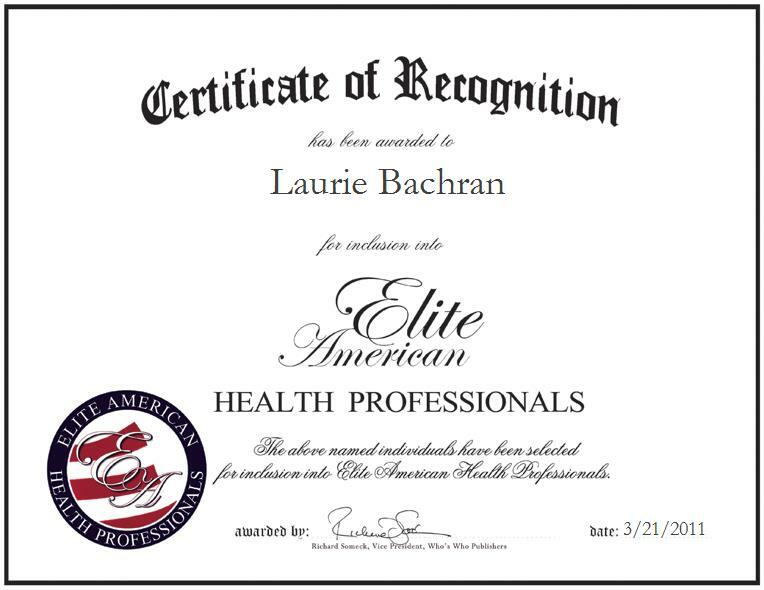 Kane’ohe, HI, March 21, 2011, Laurie Bachran, a Nutrition and Beauty Consultant for Better Health Unlimited, has been recognized by Elite American Health Professionals for dedication, leadership and achievements in nutritional counseling. Ms. Bachran also emphasizes the importance of spiritual and emotional health. Best beloved for her joyful spirit, she seeks strength in spirituality and makes it a point to enjoy the company of people with whom she shares values and interests. She is an active member of the River of Life Mission and frequently leads Bible study groups. An ordained pastor since 1995, Ms. Bachran holds a master’s degree in theology and a Bachelor of Arts from the International Miracle Institute in Pensacola, Fla.